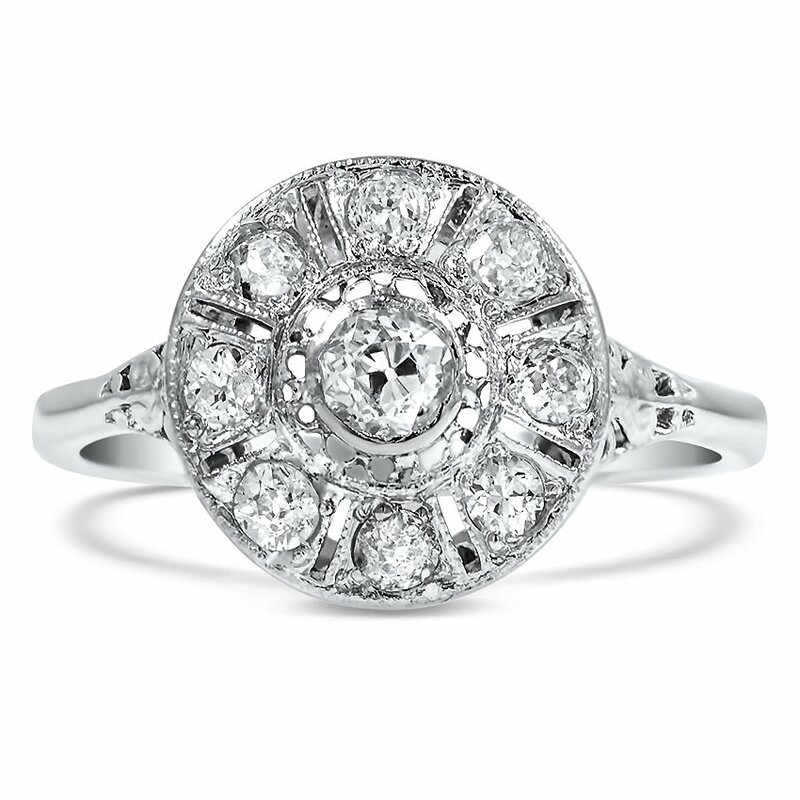 This platinum Edwardian-era ring features a glittering old mine cut diamond set in platinum for a truly spectacular look (approx. 0.55 total carat weight). Light, elegant designs were characteristic of the Edwardian era, which ran from 1901 to about 1920. 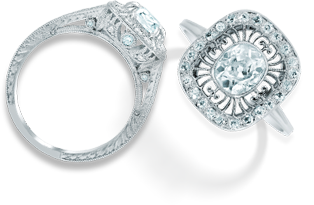 This jewelry is famous for extensive use of filigree techniques to create a wonderfully lacy look, and classic motifs designed to highlight a gemstone’s inherent beauty. Tassels, bows, garlands, and scrolls are prevalent motifs that illustrate the refined, graceful Edwardian sensibility.